I love Fridays! American Apparel sweatshirt from the “days of the week”. Today’s face is a Happy Friday! This is a unisex size so women should order a size smaller. 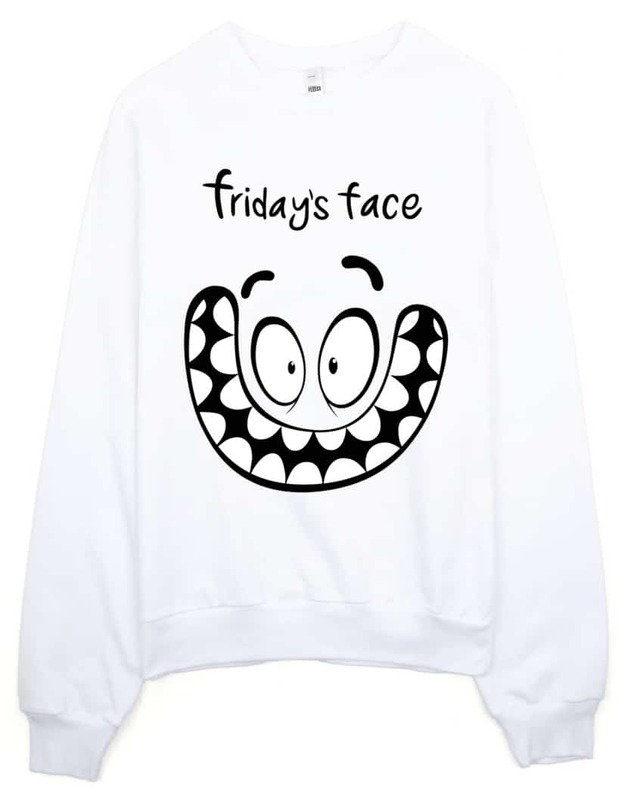 This days of the week sweatshirt is super comfortable and cosy for winter. Good quality material that needs no ironing.